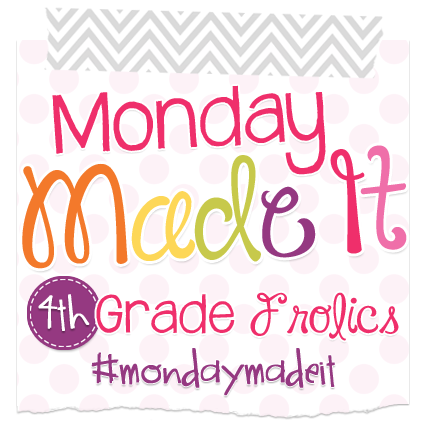 I have been waiting all summer to link up with 4th Grade Folics to do "Monday made it". However, if it's not chicken nuggets I haven't been making it. The truth is, I'm not all that crafty. I have the creativity piece, just not the patience. Miraculously, I got tickled by the "crafty bug" because I was giving Martha Stewart a run for her money this weekend! 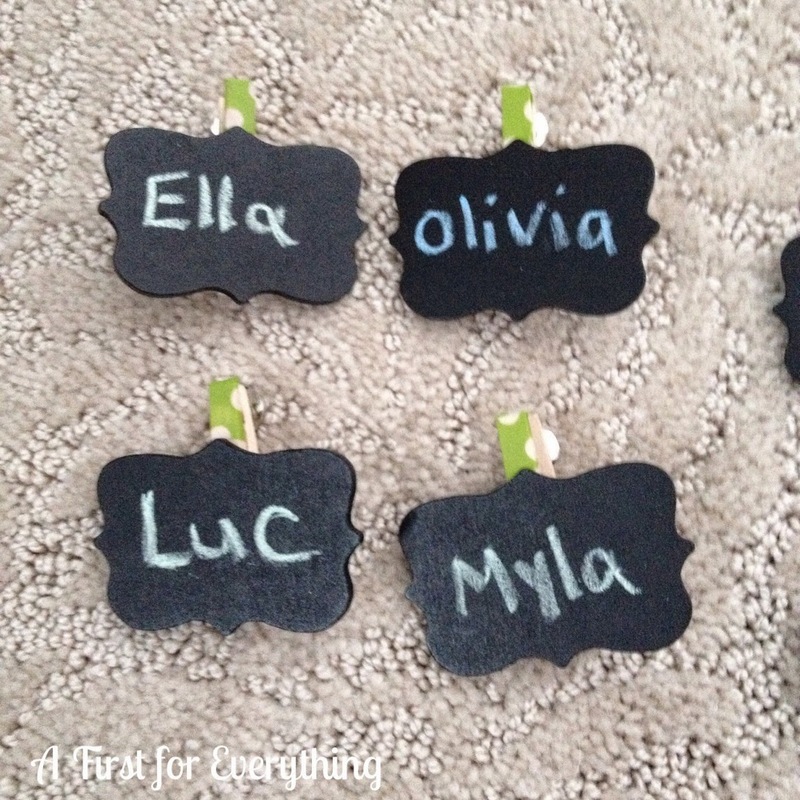 Labeled clothespins for student work- I found small clothespin chalkboard labels at Michael's Craft Store for $2. I covered the boring clothespin part with green/white polka washi tape and wrote student names on the front with colored chalk. I hot glued (o.k. see now? This is serious. I even whipped out the glue gun- for real) a thumbtack to the back of each clothespin. I will use these to hold student work up on a classroom bulletin board. I leave the same background and border up all year that color coordinate with my classroom. Now all I will have to do is switch out the student work samples! This also ensures I include every student's work since the labels are already on the board. 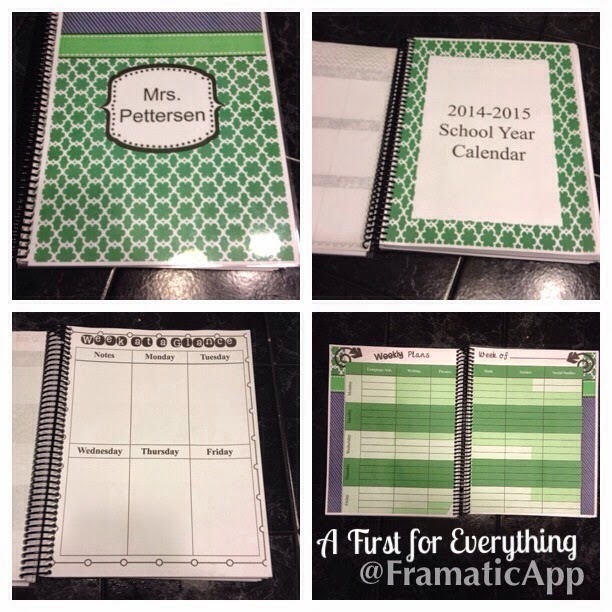 Lesson Planner/Binder- Missy from Dirt Road Teacher makes these gorgeous lesson planner/binders. When I saw that she had one in a blue/green nautical theme I just had to have it! I printed out the pages and had it bound at Staples for $11. That counts as a "made it," right? Flower- I've saved the best for last! I love this! I found the idea on Pinterest and had to re-create it. Adorableness, right? I found the green pail at Target for $1. I got the pom-pom ($7) and the dowel ($1) at Hobby Lobby. I placed a round Styrofoam ball into the pail. I cut the dowel (actually I snapped it because as I said- I'm impatient and I didn't want to wait for my husband to saw it). Next, I painted the dowel green, and poked it into the pom-pom and the Styrofoam ball in the pail. I cut out 4 green leaves from scrapbook paper and glued them onto the dowel. Lastly, I added artificial peat moss to the pail to cover up the Styrofoam. Wholla! This was so much fun I may have to pick up knitting or something just so I can link up again next week! I was giggling at your last little bit about taking up knitting or something!!! 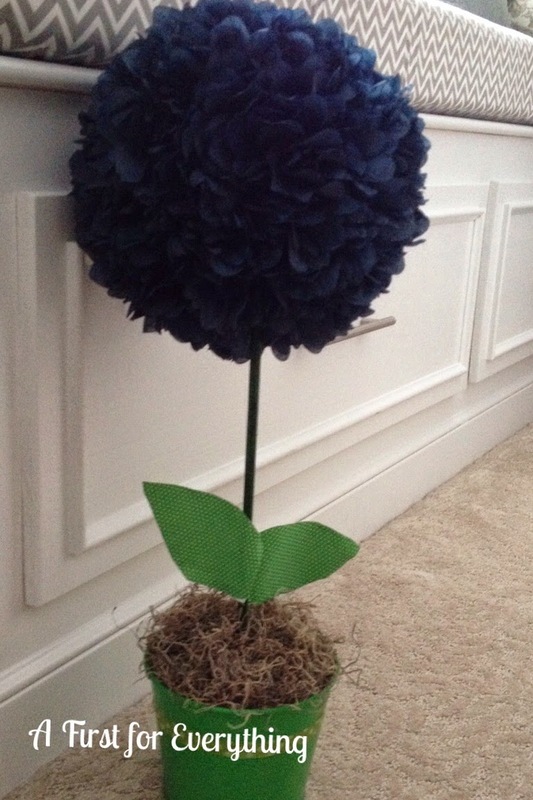 Love the pom pom flower ball. I think I have one of those in my classroom, but I'm certain I did not make it. I need to go hunt that thing down! I love your colors/theme! Too cute! I love the flower! I think I would have snapped the dowel instead of waiting to have it cut, too! Wait let me compose myself... You crack me up! I was dying. Chicken nuggets. So proud of you for stepping out of your comfort zone. I love your name clips and tree. Keep up the good work. LOL I was laughing during this post. :) I feel like Monday Made It really holds us accountable! Crafting a little here and there is good for the soul. Adorable flower...I just love it! I got some of those clothes pins from Michaels on clearance. My plan was to do the same thing! 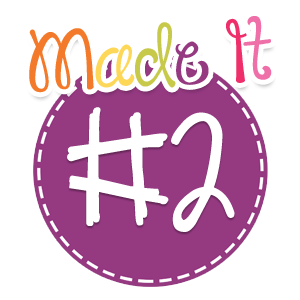 However I did not think about washi tape on the boring part! Love it!!! What kind of pom-poms are those?! I love the clothes pins! I need to go to Michael's to see if there are any left. I love your flower! How cute is that? Are you keeping it at home or for your classroom? Thanks! I'm going to keep it in my classroom. So cute!!! I love your flower - I'll bet it looks great in your classroom!! Thanks for the great ideas and the inspiration! Ooooo! Your flower would work in my classroom, too. I don't have a nautical theme, but my colors are navy, kelly and lime green. Thanks for the inspiration! I LOVE your flower. You are crafty in my eyes.